Mitchell Tenpenny performed “Drunk Me” on NBC‘s Today this morning (1/8). Watch here. 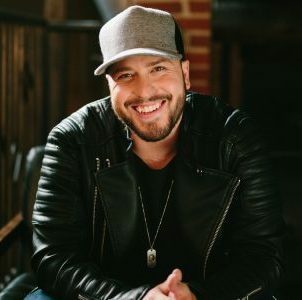 Mitchell Tenpenny fell in love with songwriting watching his grandmother, Donna Hilley. A radio DJ-turned-publishing company executive, Hilley worked her way up to the position of president and CEO of Sony / ATV Nashville in the early 1990s. Responsible for signing acts such as Little Big Town, Hilley is also a big part of the reason her grandson decided to pursue songwriting and a country music career himself. Hilley bought Tenpenny his first ProTools rig and a guitar, and she told him to learn his way around a number of instruments and how to produce his own material. Shortly thereafter, Hilley got sick (she died in 2012), but, Tenpenny tells The Boot, “it was enough to inspire me to learn how to play everything … and not be dependent on other people in the room.” Read the full story HERE.